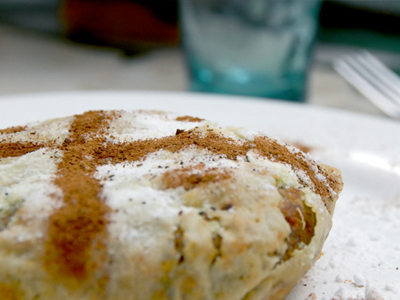 Fatima our cook will be pleased to discover the flavor of traditional Moroccan cuisine. 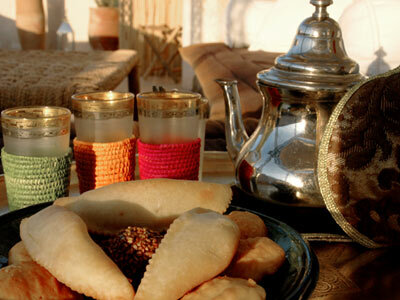 A typical Moroccan menu will be offered (on request in the morning) depending on fresh market produce and preferences. 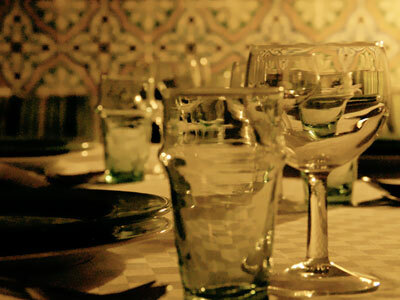 You can order your dinner by email if you wish to dine in the evening at the riad on arrival. Especially for you, we have set up formulas in half board and full board. 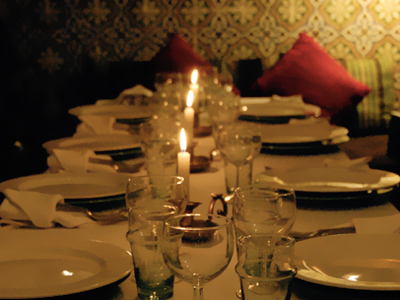 (half board 15 € / pers and full board 27 € / pers). Lunch 15 € per person, excluding drinks. 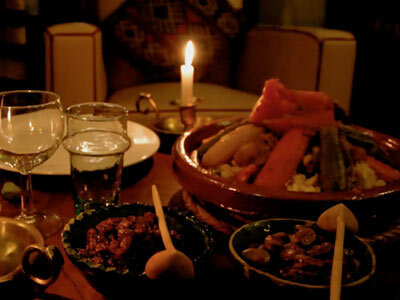 Dinner € 18 per person, excluding drinks. 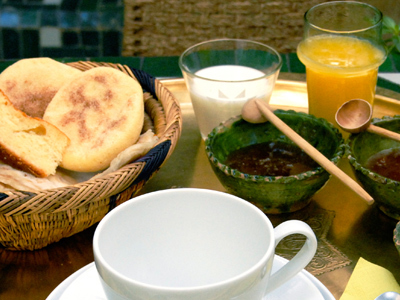 The best mint tea, the service attentive, the food exquisite and divine cupcakes Fatima you as if you were at home.